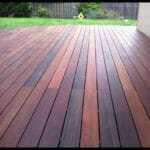 If you want to turn your landscape into an exotic garden, you need tropical hardwood for your outdoor decking. It’s not a coincidence that ipe is one of the most popular wood species used. It’s all we all want when it comes to decks. With ipe decking, you don’t have to worry about the weather conditions or rushing to maintain it before the spring arrives. You don’t have to replace it in the next few years or make compromises when it comes to aesthetics. Ipe is one of the most beautiful hardwood on the market and will definitely increase the elegance of your home along with its value. Ipe is one of the most durable wood species available. It’s so dense, it will literally sink if you throw a piece of it in the water. 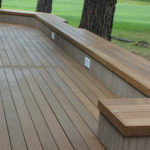 Due to its properties, it will expand and contract less than other wood deck choices. The average lifespan of ipe outdoor decking is over 50 years. Talking about durability! Ipe is extremely resistant. One of the reasons why your ipe custom decks will last for many decades is the wood’s resistance to rot, elements, scratching, and fire. By nature, ipe is oily. This keeps it resistant to insects, termites and warping. Due to its high density, ipe hardly needs any maintenance over the years. And that’s one of the main reasons why more and more people invest in such custom decks. You won’t have to worry about its condition year after year. You will just need to clean it as you would do for any other surface. In order to have a low maintenance ipe deck, you need to seal it once it is installed. There are no words to describe how beautiful ipe is! It has a deep color, which might range from olive brown and tan to almost black. Its graining patters are very interesting and add elegance. Ipe has a character and this is what makes it a one of a kind deck option and mainly a work of art. Are there any drawbacks when it comes to ipe decks? Ipe is rather expensive. It’s one of the most expensive wood species but ipe deck building is also very difficult. That’s because of its high density which makes it hard to work on. And that brings us to another important matter. You need to find experienced ipe deck builders, who will have the skills and equipment to work on this wood species. It’s vital that ipe weathers for about three months before it is finished. During this period, ipe emits all excessive oils and so is prepared for the finishing process. If it is not stained, it will get a slightly silvery hue over the years. But ipe is hard to stain because it is so dense. Ipe deck companies usually use special oil-based stains that will penetrate the wood. The alternative would be to apply a clear UV blocking preservative every few years. 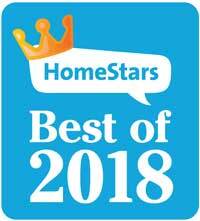 In any case, ipe is a spectacular choice. It might have a few drawbacks but these can be handled with the right ipe deck contractors. Once it is installed, you will enjoy it for years to come.